The fabulous Dunchurch Park Hotel played host to a fun-filled and energizing afternoon of indoor team building activities for the fantastic team from National Grid, and from the outset we were sure a great (and highly competitive) day lay ahead for all. After quick formalities to start the session and the showcasing of our much-coveted Team Challenge Company Winner’s Trophy (which got some great cheers from the crowd! ), the group were split into four teams and prepared to do battle across a number of entertaining and challenging team building activities, all of which would their team working skills to the test to see who could walk away champions at the end of the day. We kicked off in style with our ever-hilarious Helium Stick activity, which saw Simply the Best blow the other teams out of the water with their no-nonsense approach…it’s just a shame they let the pressure get to them after they had jumped at the chance for double points! We then raced ahead to our first building challenge of the day – crane construction – which saw the teams aim for the highest of results as they tried to building a crane-like structure and winch their weight as far off the ground as possible using only the materials provided to them. The Destroyers went for a simplistic design which seemed to work a treat…though perhaps got a bit wobbly towards the end, whilst team Top Fun built what can only be described as a monstrosity…but it was certainly fun for everybody else watching! As the fun and competitive spirit continued to build through the afternoon, it really was all to play for with the scores at the top of the table looking tight. Interlocker was our next challenge, where the teams tried to refine their working processes and ‘find better ways’ to help them complete a complex puzzle in less than 60 seconds. The training session went swimmingly, with all teams managing to work together to build their puzzle before attempting the 60 second challenge. This perhaps proved a step too far for some - though certainly provided plenty of hilarious results - as The Gladiators lost their way just a few seconds in and kind of just through a few pieces together and hoped for the best! The Destroyers, in the other hand, performed incredibly well, and only missed out on completing the challenge by 2 single puzzle pieces – an amazing effort! Our penultimate challenge required nothing but brain-power and a little ‘thinking outside of the box’ as our teams took on NASA Challenge – could they survive on the moon if they crash landed and had only a few items to ensure they made it to the mother ship…? It seemed that some may struggle (particularly Top Fun, who didn’t think oxygen was very important at all!!! ), though Simply the Best performed outstandingly well and scored a hugely impressive 17 points! With this game under our belts in was all to play for in our grand finale to the day – Bridge Build! With paper, art straws and more sellotape than you would see at Christmas, the team frantically built a structure to allow them to drive our remote control care from one platform to another, crossing the chasm below. Incredibly, all the teams ‘almost’ made it – but none of the teams actually did, however that was all part of the fun! With the final scores checked and verified (and no last minute bribes coming forward), all that was left was to announce our champions. However, up first to collect their Wooden Spoon, and to plenty a cheer was the sensational Top Fun team! Third place went to The Gladiators, whilst The Destroyers missed out on top spot with their second place finish. That, of course, left only one team, and stepping up to rapturous applause to lift they now-famous Team Challenge Company Winner’s Trophy was the mighty Simply the Best! A fantastic afternoon of fun indoor team building had been enjoyed by all in attendance, and a big shout out and thank you must go to Claire and the rest of the organising team for all the efforts in putting together a brilliant day. 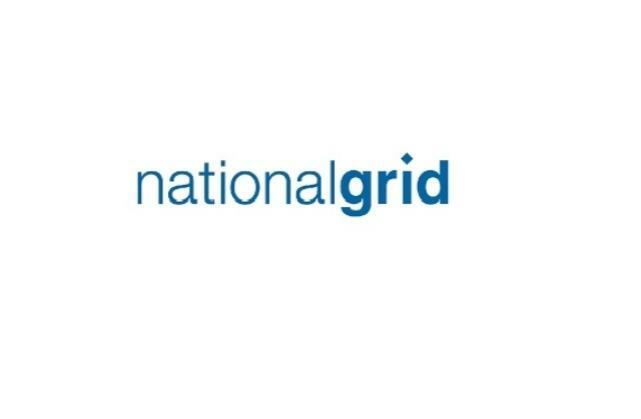 The entire team from National Grid were an absolute pleasure to work with – we sincerely hope you enjoyed a wonderful afternoon with us, and we very much hope to see you all again soon for the re-match! Jonathan, Simon and Robie, thank you for providing us with a fun filled afternoon. Your enthusiasm was infectious and you kept us entertained and laughing all the way. Loving the photos and the blog too. Well done Team Challenge Company. What a fun-filled and massively competitive day this was with the wonderful team from National Grid - a real pleasure to work with you all. My personal highlights included Top Fun's decision to take the first aid kit before the oxygen when crash landed in space, as well as the Destroyer's incredible Crane Construction effort which just started to slowly creak and sag and bow towards the end! A wonderful day with you all, and a big extra thank you to Claire and the team of organisers who put everything together! It was brilliant to have the opportunity to work with you all, and very much hope to see you all again soon.